If your pilgrimage group or organization wishes to enjoy a catered lunch, our Hospitality Coordinator would be happy to assist. We do ask for at least two weeks advanced notice. Payment for the meal is due in full on the day of the event. If your requirements change and you need to cancel, the Solanus Casey Center requires one week notification for event cancellations so that we may be able to engage our facility and cancel our off- site catering service. If you are unable to comply with these guidelines, we will assess for food and services. We thank you for your kindness. 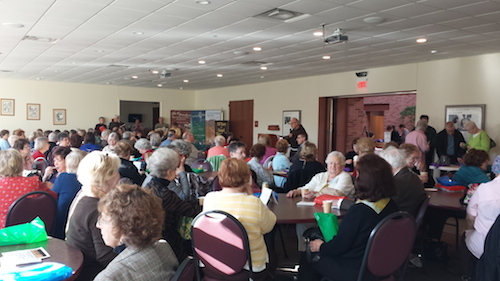 The Solanus Center facilities are available for rental for those functions that are spiritual in nature. 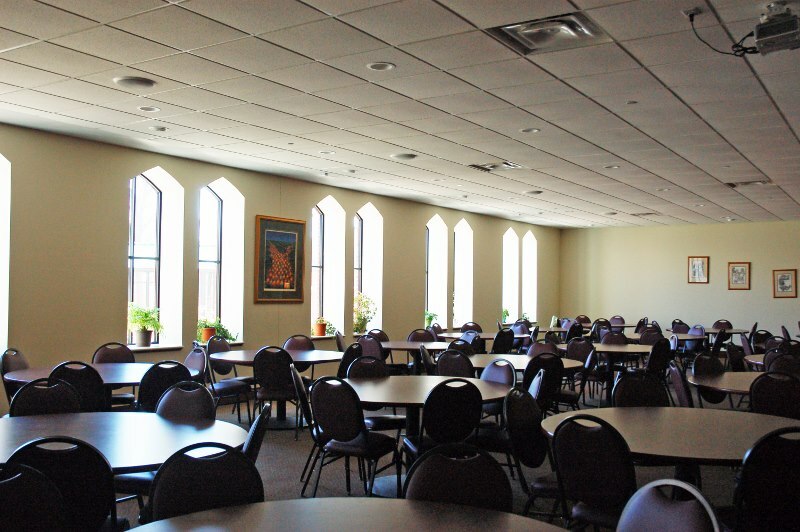 The Solanus Center's dining room can comfortably accommodate 130 people. The fee for the dining room is $150. The Auditorium can accommodate 90 people. 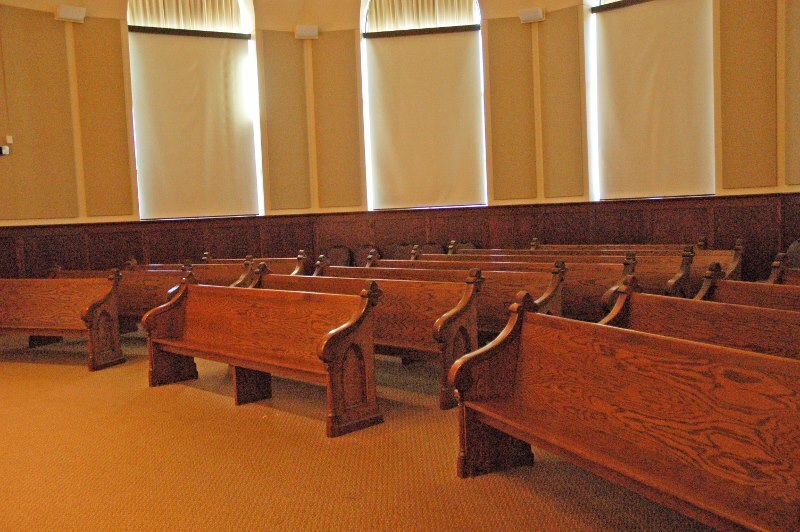 The fee for the dining room and auditorium is $300.00. The use of the entire center is $250.00 (half day) and $300.00 (full day). These fees help us to sustain ourselves. Payment in full is expected on the day of the event. This is an alcohol free environment.